North East Stars, coached by Derek King, will have a chance to go three points clear at the top of the 2017 T&T Pro League table when it welcomes Police FC at its Arima Velodrome home ground from 8pm tonight. King showered praise on his players for the team’s best run of form in recent years. “A lot of credit must be given to the players,” said King, a 37-year-old Arima-native, who unexpectedly stood in charge of a squad equipped with the likes of Rundell Winchester, Leston Paul, Kevon Villaroel, Elton John, Kerry Baptiste, Kordell Samuel, Yohance Marshall, Seon Thomas, Jameel Neptune and goalkeeper Akel Clarke among others. “Our players are buying into how I am trying to play the team,” added the North East Stars coach. “We’ve had no problems in the attitude of the players and they are all giving their full efforts in every session. We have a nice bunch with experience and youth. And I say youth, but these are some young guys with three to four years at the Pro League level. King though, is fully aware that the truncated 2017 calendar (June 9 –December 17) is still in the early stages. King who was an assistant coach to former Soca Warriors head coach Stephen Hart initially joined on as North East Stars’ assistant coach, took charge of the now Arima-based club a week before competition following a failed attempt by former multiple-time Pro League winning coach, Terry Fenwick, to lead the club into the 2017 season. “It’s good to be back coaching competitively every week in the Pro League and competing against guys who I’ve played with such as Angus Eve (Club Sando) and Dale Saunders (Central FC), and against Stuart Charles-Fevrier (W Connection) who coached me,” said King, who will have available former T&T youth midfielder Duane Muckette for the first time this season when the Stars take on the Lawmen. 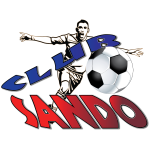 Currently, the “Savonetta Boys” as W Connection is called head the ten-team standings with 13 points from six matches, the same as Stars who have a match in hand while Club Sando and San Juan Jabloteh are next with ten points each. 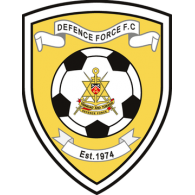 Three-time defending champions Central FC lies in fifth spot with eight points from five matches followed by Police FC and Morvant Caledonia United with six apiece, Defence Force (five), St Ann’s Rangers (four) and Pt Fortin Civic, a point less. 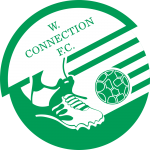 Stars will enter tonight’s match on the back of a 2-2 top-of-the-table draw with W Connection last time out on July 14, but it is not certain of coach King, who previously led Joe Public to five titles in one season will have his full quota of players available. This as defender Kevon Villaroel and midfielder Leston Paul, a former national Under-17 and Under-20 World Cup captain were due to return with the Soca Warriors team yesterday from national duty and may be rested. 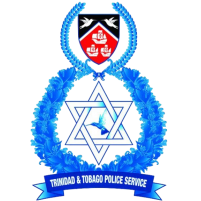 Police was also held to a draw 0-0, by Pt Fortin Civic also on July 14, but will a chance to leapfrog the champions into fifth spot, the Richard Hood-coached squad will be up for the challenge. 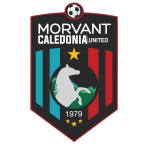 In tomorrow’s other matches, St Ann’s Rangers host Morvant Caledonia United at Larry Gomes Stadium, Malabar from 4pm while W Connection tackles Defence Force in the opening match at Couva from 4pm. The other match on schedule between, Pt Fortin Civic and San Juan Jabloteh has been rescheduled for Friday August 18 at Mahaica Oval, Pt Fortin, from 6pm as the San Juan-based club, runners-up in the Caribbean Football Union Club Championship held here in May, will leave on the weekend in two batches for San Jose, Costa Rica. 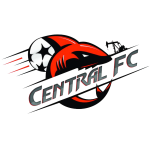 Central FC, fourth in this year’s CFU competition host Panama’s Deportivo Árabe Unido on Thursday at the Hasely Crawford Stadium, Mucurapo from 8pm with the return matches set for August 8 and 10 respectively. At the end of the home-and-away ties, the aggregate winners will progress to the quarter-finals later in the month. The league resumes following a two-week break for T&T’s international friendly away to Ecuador on Wednesday night, a 3-1 loss. King laud players over solid NE Stars start to 2017 season. 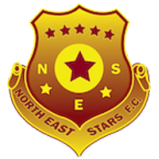 North East Stars’ last result, a late 2-2 comeback draw against leaders W Connection on July 14, proved more than a point and five a five-game undefeated stretch for head coach Derek King. It showcased the return of a young and talented coach to the Pro League. 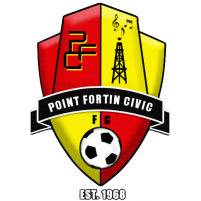 That’s if his four wins in as many matches—Point Fortin Civic (1-0), Defence Force (2-1), Morvant Caledonia United (1-0) and St. Ann’s Rangers (2-1)—prior to the Connection visit weren’t convincing enough. Connection had taken a two-goal first half cushion in Couva but the Stars, following tactical changes by King, rebounded late with a goal each from pre-season signings Jameel Neptune and Kordell Samuel to hold the Savonetta Boys—a team managed by the most successful coach in the Pro League, Stuart Charles-Fevrier—to a draw. King, however, preferred to shower the praise on his players for the team’s best run of form of recent years which has them positioned second on the Pro League 2017 standings and tied on 13 points with leaders Connection, and with a game in hand against three-time defending champions Central FC. “[Our players] are buying into how I am trying to play the team,” added the North East Stars coach. “We’ve had no problems in the attitude of the players and they are all giving their full efforts in every session. We have a nice bunch with experience and youth. And I say youth, but these are some young guys with three to four years at the Pro League level. King and his North East Stars side, which now calls Arima home, will return to action on Friday 28 July when they host Police FC from 8pm at the Arima Velodrome. King, a former Trinidad and Tobago international, began his professional career as a player at Connection, under the club’s current coach Stuart Charles-Fevrier in 1999, but later joined rivals Joe Public. A knee injury, however, in 2002 curtailed a promising career, forcing the defender to move into coaching at Joe Public at an early age. King went on to enjoy success as a club coach – most notably leading the Eastern Lions to a historic five-title haul in 2009, including the Pro League title as the youngest winning coach to do so at age 29. King also had various stints at the national level—his most recent being assistant coach to former Soca Warriors head coach Stephen Hart. Then through luck as it may be, King, who initially joined on as North East Stars’ assistant coach, took charge of the now Arima-based club a week before competition following a failed attempt by former multiple-time Pro League winning coach, Terry Fenwick, to lead the club into the 2017 season. “It’s good to be back coaching competitively every week in the Pro League and competing against guys who I’ve played with such as Angus Eve (Club Sando) and Dale Saunders (Central FC), and against Stuart Charles-Fevrier (W Connection) who coached me,” said King, who will have available former Trinidad and Tobago youth midfielder Duane Muckette for the first time this season when the Stars take on the Lawmen. Pro League action will continue on Saturday 29 July with a double-header at the Ato Boldon Stadium in Couva when Central FC take on Club Sando, a side on a three-game winning streak, from 4pm, followed by W Connection against Defence Force from 6pm. 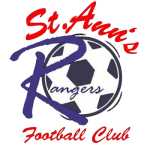 Also on Saturday MIC-IT St. Ann’s Rangers, 1-0 winners over three-time Pro League holders Central FC in their last outing, will host Morvant Caledonia United from 4pm at the Larry Gomes Stadium in Malabar. 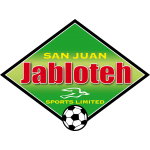 San Juan Jabloteh’s visit to Point Fortin Civic has been rescheduled to August 18 due to the San Juan Kings away fixture against Costa Rica’s Santos de Guapiles on August 1 on the international stage in the inaugural Scotiabank CONCACAF League, which also involves Central FC.